David Dyck: an elder and a pioneer leader of the Mennonite Brethren (MB) Church; born at Nieder-Chortitza, Chortitza Mennonite settlement, South Russia, 25 January 1846, the son of Johann and Maria (Nikkel) Dyck. On 27 September 1867 David married Helena Rempel (2 April 1849, Rosenthal, Chortitza, South Russia - 3 November 1941, Waldheim, Saskatchewan, Canada) in Rosenthal, Chortitza, South Russia. Helena was the daughter of Peter Rempel (ca. 1808, Rosenthal, Chortitza, South Russia - 24 June 1897, Osterwick, West Reserve, Manitoba) and Katharina Isaac (ca. 1815 - 2 May 1891, Osterwick, West Reserve, Manitoba). David and Helena had 15 children: Maria, Peter, David (died young), Johann, David (died young), Katharina, David, Helena, Abraham, Gerhard, Isaak, Aganetha, Judith, Jakob (died young), and Susanna. After a fruitful ministry of 53 years, he died at Waldheim, Saskatchewan on 6 January 1933, and was buried at the Bruderfeld cemetery. David's educational opportunities were limited; yet he procured a remarkably wide range of knowledge through independent study. In September 1867 he married Helena Rempel. In the spring of 1873 he was converted and joined the MB Church, baptized on 23 April 1873. He immediately had a strong desire to enter Christian service and became active distributing tracts of religious information. In 1876 he immigrated to North America, arriving in Marion County, Kansas. In 1877 David and Helena joined around 20 other families and settled in the new Mennonite Brethren settlement of Woodson County, Kansas, where he lived for seven years. Here David was elected minister in 1878; he was ordained by Elder Abraham Schellenberg in 1881. He attended Rochester Theological Seminary for a short time in 1883. In 1884 he took charge of the church at Lehigh, Kansas, where 10 families from the Alexanderwohl Mennonite settlement had formed a Mennonite Brethren congregation. Dyck ministered here for six years, and was ordained elder in 1890. In 1892 he went to Kirk, Colorado, where he served as elder of the Kirk MB Church for three years. When the Mennonite Brethren Church began to develop in Manitoba, the conference appointed Dyck to take charge of the work at Winkler in 1895. David had visited the West Reserve in 1884 along with Heinrich Voth to survey the spiritual condition of the inhabitants. During his ministry of 11 years a strong congregation developed. During his years in Winkler, Dyck traveled widely throughout Manitoba, Saskatchewan, and North and South Dakota, conducting services and visiting numerous families in their homes. As new settlements were made in Saskatchewan, Dyck moved to the Borden area in 1906 and continued a very active ministry in the churches of Borden, Bruderfeld, and Waldheim. He was also much interested in mission work in the Russian settlements of that vicinity, helping at the stations Petrofka and Eagle Creek. 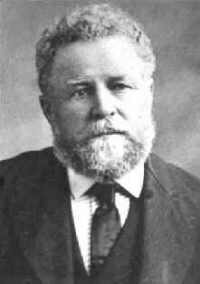 David Dyck was a very active worker and leader of the MB Conference. The early yearbooks mention him 17 times as engaged in itinerant evangelism. For many years he served on the Board of Foreign Missions. He was the first moderator of the Northern (Canadian) District Mennonite Brethren Conference and filled this office for 10 years from 1910 to 1920. GRANDMA (The Genealogical Registry and Database of Mennonite Ancestry) Database, 6.06 ed. Fresno, CA: California Mennonite Historical Society, 2011: #9267. Jantz, Harold. "David Dyck: Father and Builder of the Church." In Leaders Who Shaped Us: Canadian Mennonite Brethren: 1910-2010, edited by Harold Jantz. Winnipeg, MB and Goessel, KS: Kindred Productions, 2010: 1-10. Lohrenz, J. H. and Richard D. Thiessen. "Dyck, David (1846-1933)." Global Anabaptist Mennonite Encyclopedia Online. December 2011. Web. 25 Apr 2019. http://gameo.org/index.php?title=Dyck,_David_(1846-1933)&oldid=112441. Lohrenz, J. H. and Richard D. Thiessen. (December 2011). Dyck, David (1846-1933). Global Anabaptist Mennonite Encyclopedia Online. Retrieved 25 April 2019, from http://gameo.org/index.php?title=Dyck,_David_(1846-1933)&oldid=112441. Adapted by permission of Herald Press, Harrisonburg, Virginia, from Mennonite Encyclopedia, Vol. 2, p. 114. All rights reserved. This page was last modified on 31 January 2014, at 15:47.